This initiative – the second of its kind – took place at 68 airports in 32 countries worldwide, including 24 EU Member States, Iceland, Norway, Switzerland, the USA, Colombia, Brazil, Peru and Ukraine. In an unprecedented move, representatives from 35 airlines and major credit card companies Visa Europe, MasterCard and American Express worked with staff from Europol’s EC3, law enforcement officers from across the EU, the US Secret Service, the US Immigration and Customs Enforcement and the Colombian national police at Europol’s operational centre to identify suspicious airline ticket transactions resulting from the use of fake or stolen credit cards via the Internet. 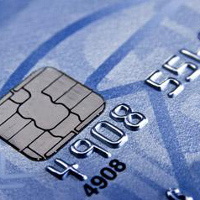 On receipt of alerts from airlines, credit card company representatives confirmed suspicions using their own financial data systems, and the International Air Transport Association (IATA) provided fraud intelligence from its database. Notifications were sent to transport hubs across the world as waiting enforcement officers intercepted and detained criminals attempting to travel using fraudulently obtained flight tickets. Further support was received on the day from the EU border control agency, Frontex, and the European Union’s Judicial Cooperation Unit, Eurojust. Playing a pivotal role in the operation, Europol deployed specialists and equipment to locations across Europe. In addition, a dedicated team of analysts working from the Europol operational centre provided live access to centralised criminal intelligence databases, whilst INTERPOL assisted in the rapid identification of wanted persons and stolen travel documents. “This unprecedented operation clearly shows how crime is evolving on a global scale, with huge implications for citizens, businesses and our collective security. But it also shows how the combined forces of the international police community and the private sector are capable of delivering major successes against the criminal syndicates responsible for committing large scale fraud and other offences. 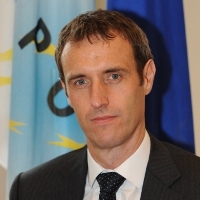 Europol pays tribute to all partners involved in this groundbreaking operation”, said Europol’s Director Rob Wainwright. “For many years, organised cybercriminal networks have relied on the assumption that law enforcement agencies could not work together in cyberspace and act quickly and effectively. This operation again proves them wrong. Not only have law enforcement agents from several countries worked shoulder to shoulder with EC3 specialists in Europol’s operational centre for several days, but we have also involved experts from the private sector such as airlines and payment services. This flawless cooperation also included frontline law enforcement staff in 68 airports all over Europe and beyond. This successful operation is a milestone for all involved – law enforcement and private partners – and marks another goal accomplished in fighting cybercrime, a threat which is global by its very nature”, said Troels Oerting, Head of the European Cybercrime Centre (EC3) at Europol.